That's because we are all DULL and BORED. Is this thread a commentary of the originality of Hollywood (/Toronto/Vancouver) storylines? If along comes something original, like say a Space Western with Hookers but without Aliens, it should prolly be CANCD immediately. The spinoff of The CW's Arrow finds Central City forensic assistant Barry Allen (Grant Gustin) with superhuman speed after being struck by a bolt of lightning during an accident at a particle accelerator. With the help of three scientists at Harrison Wells' S.T.A.R. Lab, he helps the citizens of Central City as he seeks answers to his mother's murder. Yeah, Iron Fist was okay but I think it's the weakest of the 4 shows. I am still looking forward to The Defenders. I hear The Flash's computer has the same voice as Inara. If these shows give our BDH more work, then I'm all for it. Morena really scored big in Deadpool. Awesome flick, and she had great exposure... and, not just the nekkid scenes. Jewel and Sean seem to be the only ones who really to not hit it super big, but still see them, from time to time. Didn't mean to wander down that path, but still glad to see the BDH doin' well. I have been getting a feeling about attitudes toward Firefly. It seems the cast are held in great esteem, looked upon wonderfully, and the scriptwriters are viewed favorably, while the execs are (rightfully) getting exposed for what they are, and Joss has been tarnishing his star with his nonsense, woman-hating, and twitter gibberish. Of course, that might merely be the way I see it. JSF - I'll just say I agree 100% w/ you on that last part about Joss. He's blown a gasket, and IMO, it's damaging his rep.
Joss is a woman hater? What did I miss? Ah, RWED...there's a reason I've lasted near 15yrs here. I avoid that place. Thanks for the info. I knew Joss snapped with the election, but dang. A Marvel series Inhumans in some reviews it is getting wrecked by critics but some scifi fans and Marvel comicbook fans enjoy it, they are not Superhumans nor Mutant they are some kind of 'alien' people who live on the Moon and it ties into Marvel's cinema world and the Agents of Shield shows etc they have some kind of weird big ugly looking space dog who can fly, teleport or warp across time? Dredd tv show? With Karl Urban possibly returning as Judge Dredd? Stallone is the only Judge Dredd. I didn't like the first season of Daredevil, but I really liked the 2nd season. 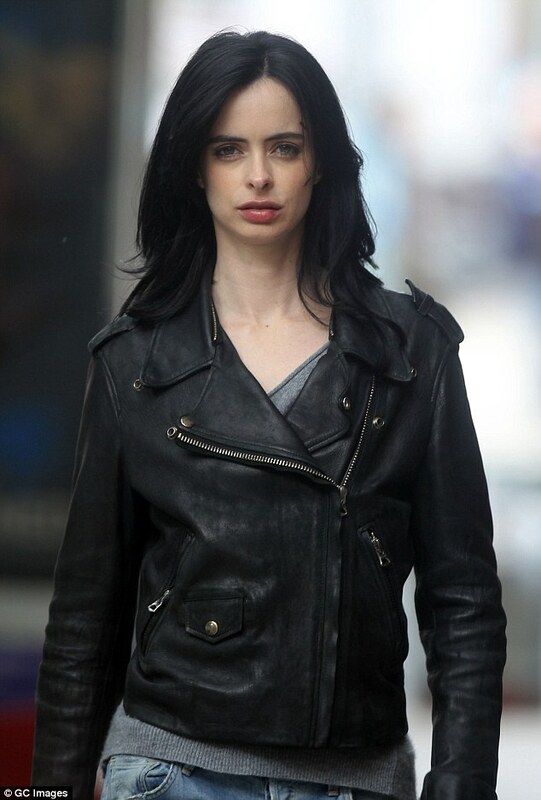 Jessica Jones was by far the best of the Marvel shows I've seen, and that includes the other non-Netflix shows that I've watched. I still haven't watched Iron Fist. I only made it a few episodes into Luke Cage before I got bored of it. The episode that killed it for me was the whole scene where he's talking about his picture of Biggie Smalls on the wall. I used to hang out with a bunch of white guys in my early 20's and we all listened to rap music and had big speakers in our cars and acted like idiots. Half of them are dead or in jail now. That particular part of that episode seemed to me like it was written by one of the guys I used to hang out with. Some stupid white kid in the late 90's pretending that he's from the hood. Nothing about Luke Cage felt genuine to me at all.. especially the dialogue that I'm sure the writers were just all circle jerking over. Gotta disagree with you there. Stallone was good for a mid90s cheesy action Stallone flick, but he didn't really capture the spirit of the comic the way Urban did. As far as the Netflix MCU shows go, I was disappointed by The Defenders. It had its moments but it just felt so rushed. The Iron Fist guy does better in it than his own show, but that isn't really saying much. I am looking forward to The Punisher, and which should be coming out soon. Haha yeah. I was just trollin'. I never read the comic, and I saw the movie once in the theatres when I was a kid. That's the only Judge Dredd I know. Just another average-at-best summer flick back in the low-point of cinema that was the decade from the mid-90's to the mid 2000's. I thought Dark Matter already was cancelled? It's official now though, huh? Maybe Netflix will pick it up? Tell me I live in a world where more people would want to see a season 4 of Dark Matter than a season 4 of Fuller House. Yeah, I only mentioned DM because Jayneztown posted the trailer above. Last I heard the producer is trying to get it back into comics, so I presume other live action options are dead.